Cinnamyl alcohol dehydrogenase (CAD) is a key enzyme in lignin biosynthesis and catalyzes the final step in the synthesis of monolignols. Seven CAD homologs (LtuCAD1 to LtuCAD7) have been previously identified from a basal angiosperm species Liriodendron tulipifera L., which is an important timber tree species with significant ecological and economic values. The phylogenetic analysis indicates that LtuCAD1 is the only Liriodendron CAD grouped with the bona fide CADs, the primary CAD genes involved in lignification. In this study, the predicted protein sequence of LtuCAD1 was found to have conserved domains and the same key determinant site with the bona fide CADs in other plant species. Additionally, LtuCAD1 had the highest expression level in xylem as revealed by quantitative RT-PCR analysis. The expression of beta-glucuronidase (GUS) driven by the LtuCAD1 promoter was largely localized in vascular tissues in Arabidopsis. In stem cross sections, GUS staining was found exclusively in xylem and phloem. When expressed in the Arabidopsis cad4 cad5 double mutant, LtuCAD1 was able to restore the total lignin content and decrease the S/G lignin ratio. Our data indicate that LtuCAD1 is a CAD ortholog involved in lignin biosynthesis in Liriodendron. The online version of this article (doi: 10.1007/s11105-013-0578-z) contains supplementary material, which is available to authorized users. 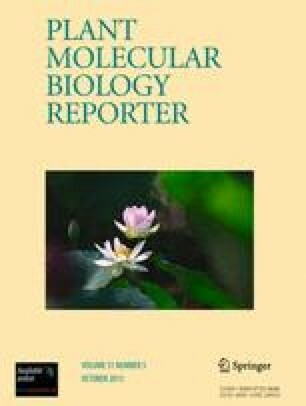 The authors would like to thank Dr. Armand Séguina (Canadian Forest Service’s Laurentian Forestry Centre) and Dr. Richard Sibout (University of Lausanne, Switzerland) for providing the cad c cad d Arabidopsis double mutant plants and Dr. Chung-Jui Tsai at University of Georgia for her assistance with the PyMBMS analysis. This study was supported by a National Institute of Food and Agriculture/USDA grant (project number SC-1700324, technical contribution No. 6061 of the Clemson University Experiment Station) and an investment award provided by Clemson University.